Rubbing to edges and corners bumped. Covers stained. 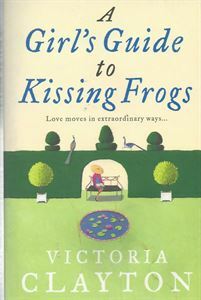 A girl may have to kiss a lot of frogs before she finds her Prince Charming but Marigold has found herself a real toad. As principal dancer at the Lenoir Ballet Company, she is on her way to becoming a Prima Ballerina. She has the talent and the ballet director, Sebastian Lenoir, has her bent over backwards - quite literally - working her way to the top. But when a painful fall sends her limping home to Northumberland to recuperate, Marigold fears that this could mean the end to her dreams. Luckily, her childhood friend, Rafe, who is just as delicious as she remembers him, is ready and waiting to sweep her off her feet. But, is there a handsome stranger waiting in the wings? Also see the children's books she has written under the name of Victoria Walker.